Youth – The young people of today will be the legislatures, property owners, government officials (both elected and appointed), law enforcement officers, and voters of tomorrow. It is important that we demonstrate to them while they are young that fishing is a pleasurable and important activity that is worth promoting and protecting. We must help them develop the desire to protect the right to fish our public waters as well as to protect not only our public waters but our environment overall from pollution and misuse. Because of that the IBF will award the club that has demonstrated through their projects, programs, activities, and support of IBF and TBF youth projects which encourages the youth ofIndianato participate in fishing activities, advocates the positive fishing experience and educates the youth not only on fishing techniques but also environmental stewardship. Conservation – It is important that we do what we can to promote the preservation of our public waters, fishing habitat, and environment from overuse, pollution, invasive plant and animal species and natural disasters. 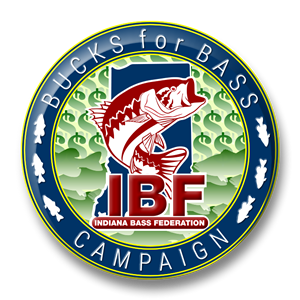 Because of that the IBF will award the club that best demonstrates through projects, programs, activities and support of IBF and TBF conservation projects which help preserve and protect our fishing habitats, public waters and environment as well as educating and promoting those endeavors to fellow fishing enthusiasts and the general public. Public Service – It is important that we have a positive influence on our fellow man not only to improve our society and our community but to also promote bass fishing in a positive manner. Because of that the IBF will award the club that best demonstrates through projects, programs, activities and support of IBF and TBF community service projects which will enhance our society and communities as well as uplift the human condition. The community service does not have to be related or pertain to fishing. 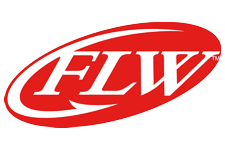 Club of the Year – The IBF will recognize the club that overall best promotes all three goals of promoting fishing to youth, promoting conservation, and providing community service. The club must demonstrate that it has addressed all three of these areas. It does not necessarily have to excel or have won an award in any one in of the three areas but it is a requirement that it makes a positive influence in each of the areas. The club selected for Club of the Year will be the club that overall has had the most positive influence on youth, conservation, and community service. The award winners will be selected by a committee consisting of one director from each Zone, the Conservation Director, and the Youth Director. The IBF Vice President will be the chairman of the committee. The decision will be based on material presented by the club. The material should outline the clubs activities and include any supporting material such as photos; newspaper articles or advertisements; registration forms; invoices; receipts; letters of appreciation or recommendation; project plans or outlines; applications to and approvals by city, county or state officials; or any other items which help document the activity or project. The material must be submitted to the IBF board by the state meeting in December. The awards will be presented at the State meeting in February of the following year. The selection committee will review and present their decisions to the IBF Board at the February Board meeting. Clubs that submit material should plan on attending the February meeting to accept awards in the event they are selected. It is suggested that as many club members attend as possible so they can all be honored for their accomplishments. While it is not necessary that the material be presented in a specific manner or method and the selection committee will try to base their decisions on the actual projects and activities the neatness and organization of the submitted material could have some influence on the committee’s selection process. Plaques will be awarded to the winning clubs and they will be recognized in the Indiana Bass News. Press releases will be provided by the IBF to local papers.